More than a decade ago, Twitter co-founder Jack Dorsey shared the idea of what would eventually become known as Twitter, at a playground. Thence, his platform has come to lead a legitimate revolution in communications. Knowledge is power and communications is its strength — that's why in the global social media space, Twitter's place is sacred. At All That Matters 2018, Bandwagon had the pleasure of speaking with Carl Cheng, Entertainment Partnerships lead for South East Asia and Keya Madhvani, Entertainment Partnerships lead for India, about how the platform is capitalising on its growth and its plans for the future. How do you think Twitter exists within the scope of this year's All That Matters? 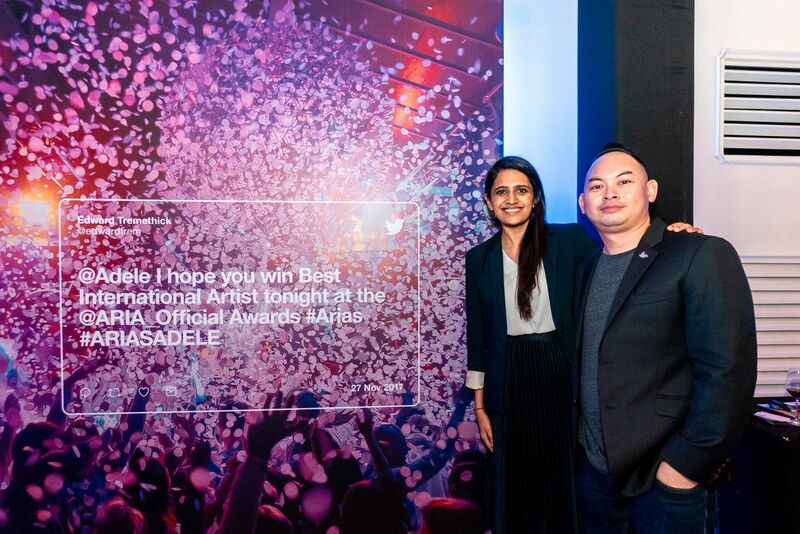 Keya: In a big way, Twitter is a leverage for amazing opportunities to connect with partners across the APAC region. At All That Matters 2018, we are announcing our content partnerships for brands. We have had over 50 deals that we have brought in with partners across the region. For India specifically, we have VH1 Supersonic, Red Chilies Entertainment, ScoopWhoop and Filmfare. Carl: One of the deals that we got across the line as well is with NBC. Now, we've hosted live from the red carpet events and the first event will be the People's Choice Awards in November. What's special about it is that we're not only getting the live stream of the red carpet event, but of the entire event as well. Keya: We also have partnerships with Sony Music in Australia. It's the first time Twitter has announced the scale of this partnership with Sony Music in the region. And of course, with the K-Pop awards ceremony, the Mnet awards. How would you quantify the evolution of a platform that initially only let users publish 140 characters into a full-fledged entertainment platfrom? Keya: I think the key thing to remember about Twitter is that it’s about what's happening now. Often people will come to us and say Twitter is for news but, news is more than just politics. News can be music or entertainment trending in your specific area, locally or globally. That is the essence of Twitter and this is why it makes sense for entertainment publishers to use the platform because it happens in real time during a live event. It’s about being public and engaging that very public. Carl: As you know, the Hallyupopfest happened recently and, we were there live with the Twitter mirror on the red carpet, which captured the artists that walked by and got fun snaps of them. Over the three day period of the festival, we had almost 800,000 tweets related to the event itself. It solidified that K-pop is massive for Twitter. It was just a news messaging platform when it started. Now we've added a live video streaming platform. To give you some context, we've done over 1,300 live broadcasts in the first quarter alone, with 80% of that to a global audience. We're making a lot of strides in that area as well and we'll continue to push towards that. Many popular social media platforms are in decline but Twitter is more vibrant than it has ever been. Why do you think that is? Keya: Over the last three years, we’ve seen the engagement from audiences over the period when we introduced image-and-video based content. From there, we knew that audiences are hungry for that kind of content and, we've adjusted the product in ways to suit that. You'll see video and audio plays on the timeline particularly in a section called "While you were away”. That entire section is focused on image and video related content because we know that is what people want to see. Carl: One of the reasons why you don't see essays on Twitter is because it’s used more as a conversational platform of events happening in that point in time. We’ve seen an 81% increase of video views in Southeast Asia alone and, this is part of the 1.6 billion views that we see generated on the platform everyday. This gives you an insight on how we’ve become a robust video platform. How important is live streaming to Twitter now? Carl: It is core to our content strategy. A lot of our partners around the globe have done exclusive, live stream programs on Twitter. Buzzfeed, Bloomberg and KKBOX, to name a few. They choose to to do their live streams on Twitter because they know our audience is more receptive and engaging. Keya: “Twitter Moments”, show content relevant to your location and time zone and helps to push discoverability. We produced a live show on the red carpet with Filmfare this year, where celebrities did a Q&A session. It gathered over 100,000 concurrent viewers at one point in time and overall, a total of 1.2 million views. The reach is far more phenomenal because the product has evolved to cater to live stream content. Carl: Apart from live video, Twitter is also used for live events. If you're watching a live event, compared to the other platforms, what we found is that Twitter is getting a lot more unique visitors and, they are spending more time on the platform as well. 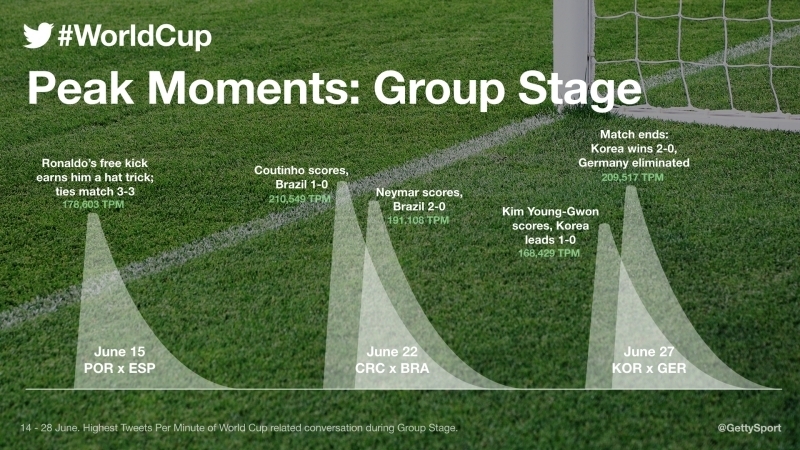 For example, for the World Cup this year, people could go on to Twitter and jump straight into relevant conversations and also see what everyone is talking about in real time. What is Twitter's value-add to video as opposed to it just being a sharing platform? Keya: I can give you an example. VH1 Supersonic has a lot of major headliners coming in to play at the three-day event. We wanted to capture that live moment of people being excited about the event. We decided to do a live stream blue room, which is a pop up area where we have conversations with the artists. VH1 Supersonic could have easily done video interviews but, by having the blue room there, we incorporated the live component for audiences across the world. They were sending in their questions and interacting with the artists – which they wouldn't normally have been able to. By creating that element of conversation, we leveraged on what Twitter is strong at. So with partnerships, we try to stay focused on Twitter's unique value proposition and, how we can enhance the content strategy of the partner. Carl: To that point, with live video we collaborated with KKBOX. They have a weekly chart show, Music Supper, and they came up with the idea of live streaming it on Twitter. We offered them the Twitter blue room in our office as a space for them to live stream their show every week. It allows them to have regional artists come and perform songs live or respond to questions taken from the fans. Lastly, keeping in mind cyberbullying, defamation and skewed political stories, how would you advise people to ensure that the platform facilitates meaningful and fruitful conversations? Keya: Safety is really important to us and we advise the public and our publishers to treat the report button liberally when they see unfavourable content. If there is content that is abusive or harmful in any way, users can block content or mute other users to control the content on their dashboard. Carl: We have guidelines for our publishers for brand safety. We want them to publish brand-safe content and the same goes for our advertisers. On the public side, we're putting in the work to cut out all the spam bots by possibly utilising AI software. In the past year, it has been a priority to boost the health of the conversations on our platform.